Till the beginning of the 19th century the names of rabbis who served in Utyan (if there were some) are unknown. 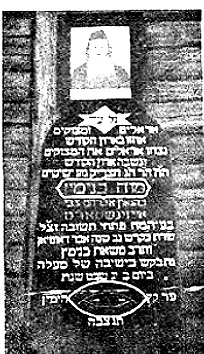 Avraham-Tsevi Aizenshtat (born in1813 in Byalistok-died in 1865 in Koenigsberg when coming there for curing), grandfather of Leon Rabinovitz-redactor of "HaMelitz"
Binyamin Aizenshtat (1846-1920) son of Avraham-Tsevi, served in Utyan for 52 years till his death. Mordehai Gimpel Yofe (1820-1892), a known rabbi in his generation, one of the first rabbis helping the "Hovevei-Zion" movement. Died in Petakh-Tikvah. Matityahu Utyaner one of the important men of Vilna and one of the most learned men in Lithuania. David-Nathan Brinker (Bar Yakar), public worker at the "Mizrahi" party in Eretz-Yisrael. Died in 1951 in Jerusalem. Ze'ev Volf Shor (1844-1910), writer and journalist, in the seventies of the19th century he described in the Hebrew newspapers HaMelitz, HaYom, HaShakhar his travels through Africa, India, China, the Philippines and more. From 1888 in America, where he was among the pioneers of the Hebrew press and of the Zionist movement. He was a delegate to the fourth Zionist congress which took place in 1900 in London. He founded in 1889 the Hebrew periodical "Hapisgah" which became the central tribune of the Hebrew literature in America and East-Europe. He published several books. Died in Chicago. Ya'akov-Meir Lerinman (1847-1929), from 1905 in Eretz-Yisrael, published articles in HaMelitz, HaTsefirah etc. and one book. Died in Yafo. Reuven Rubinshtein (1891-1967), delegate of the Lithuanian "Seimas", one of the leaders of Lithuanian Jewry, redactor of the largest Yiddish daily newspaper in Lithuania "Di Yiddishe Shtime", in 1940 exiled by the Soviets to Siberia, from 1948 in Israel. Member of the editorial board of the three volumes of "Yahaduth Lita". Died in Tel-Aviv. Yisrael Hodosh (1908-1972), born in Vilna but as a small boy moved with his parents to Utyan. From 1934 in Eretz-Yisrael. One of the founders of the Yiddish newspapers in Tel-Aviv "Letste Naies" and "Yidishe Zeitung", from 1956 its redactor. Published in it articles and translations from Russian and French. Died in Tel-Aviv. Aharon Brestovitsky (1916-1944), wrote articles in different Yiddish periodicals and in the newspaper "Vilner Tog". Perished in the Kloge forced labor camp in Estonia. Utyan men who fell in battle during World War II serving in the Red Army and with the Partisans.